Just in time for the hot summer days, American beauty vlogger Desi Perkins teamed up with Aussie eyewear label QUAY Australia to release a sunglasses collection. What can you expect from this collaboration? As a true Instagram star, Desi is known for her modern and feminine style as well as for always having the best sunglasses. On the other side Quay Australia is a notoriously cool, affordable and quirky range of sunnies for the nonconforming and freethinking. Sounds like a match from heaven! And according to the QUAY website, the collection was already sold out. 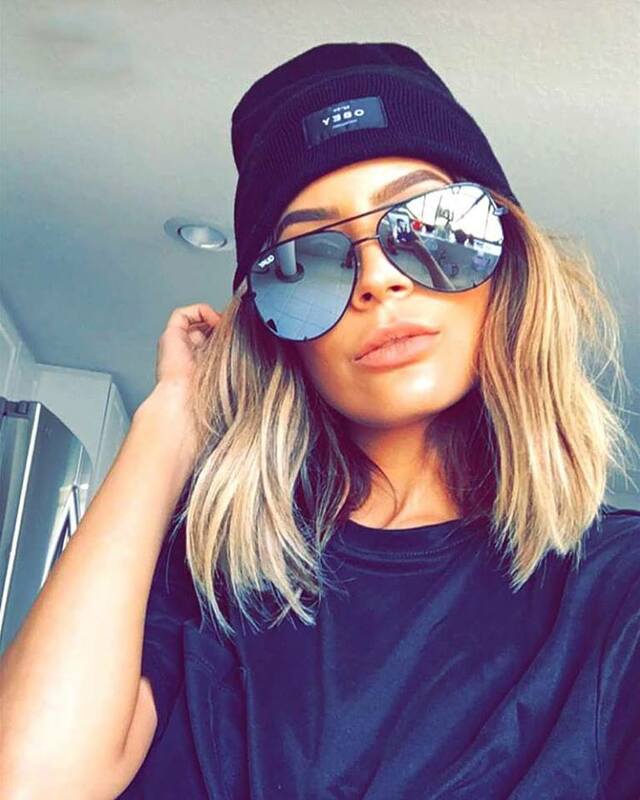 Makeup artist Desi Perkins looks fab wearing High Key Sunglasses Gold. Desi wearing High Key Sunglasses . Desi seduces with On The Low Sunglasses Black. Desi wearing High Key Sunglasses in Black. In the spotlight with T.Y.S.M Sunglasses Black. Kylie Jenner has a pair of sunnies from this collection and after being sold out twice since their launch and restocked again, more colors are expected to be added in September. In case you have missed it, see Easy summer glam makeup tutorial by Desi Perkins. American reality star Kylie Jenner spotted wearing High Key Sunglasses Gold.